Inspiring a child takes effort, time, passion and heart. It’s why we do what we do. At the Houston Museum of Natural Science, discoveries are made daily. The sounds of learning fill our hallways every day, from the gasp of wonder from a kid stepping onto the Morian Overlook for the first time or the squeal of delight as a butterfly in the Cockrell Butterfly Center rests on a child’s shoulder. Those sounds are all the evidence we need to know we are upholding HMNS’ mission, its commitment to education. For the kids that may not be able to get to the museum, there is HMNS Outreach. Our variety of programs brings HMNS straight to the community, visiting hundreds of schools and organizations each year and reaching more than 100,000 children in 2015 alone. The ultimate goal is to instill in these kids a love of learning that will carry them to new heights in their careers and throughout their lives. Here are some of the many STEAM careers that HMNS Outreach can inspire a child to reach for. The TOTAL Wildlife On Wheels offers an extraordinary look at animals of all kinds. Students get an up close and personal encounter with wildlife ranging from snakes and frogs to birds and mammals. 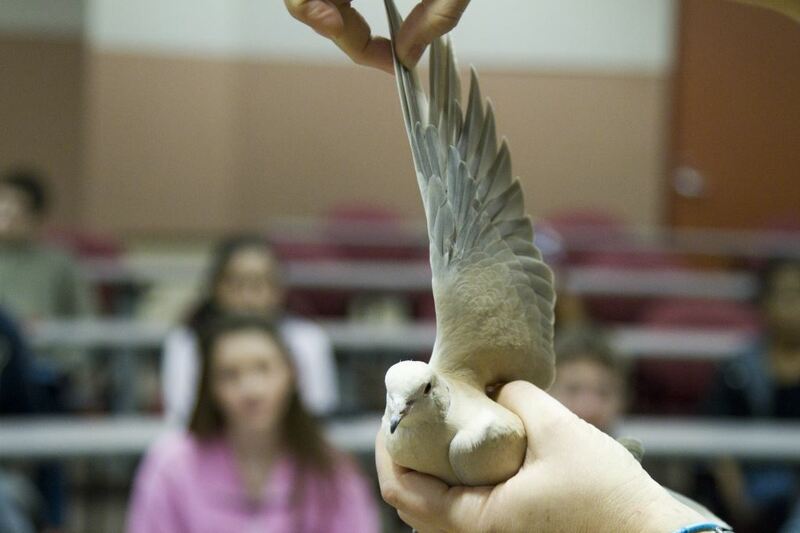 Students in Turner High School’s Vet Tech program observe the wing of a Ringneck Dove, which travels as part of the TOTAL Wildlife On Wheels Vertebrates program. A presentation of Cleanup Crew from the Bugs On Wheels program will cover the process of decomposition and the return of vital elements to the Earth. These principles of decomposition are crucial to forensic scientists, who use arthropods and fungi to study crime scenes and gather more information. Entomologist Erin Mills shows off a Giant African Millipede during a presentation of the Bugs On Wheels program Cleanup Crew. Body Works is our newest set of programs in the Science Start family, and these presentations focus on the anatomy and capabilities of the human body. From the brain to the heart to the skeleton, each of these presentations will provide students with a comprehensive overview of what we can do with what we’ve got. A Chevron Earth Science On Wheels program like Know Your Rocks is immensely useful for future careers in Geology. A students’ knowledge of the rock cycle and the differences between different types of rocks and fuels can be vital in fields such as the energy industry. 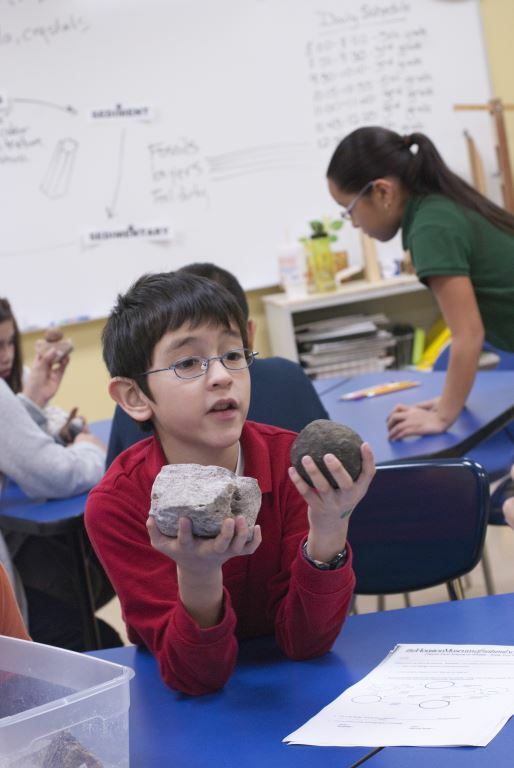 A student discusses the properties of two different specimens with his classmates during a presentation of Know Your Rocks. A visit from the HMNS Discovery Dome includes more than 40 different shows about a range of topics, including a classic planetarium show, The Starry Night. One of today’s kids could discover a new planet, a galaxy, or even a black hole, and the Dome provides a great foundation for an interest in astronomy. Students at Reagan High School file into the Discovery Dome for a screening of Cosmic Collisions, a show narrated by Robert Redford about different outer space encounters between celestial objects. An interest in foreign cultures can take you all over the world or even back in time. 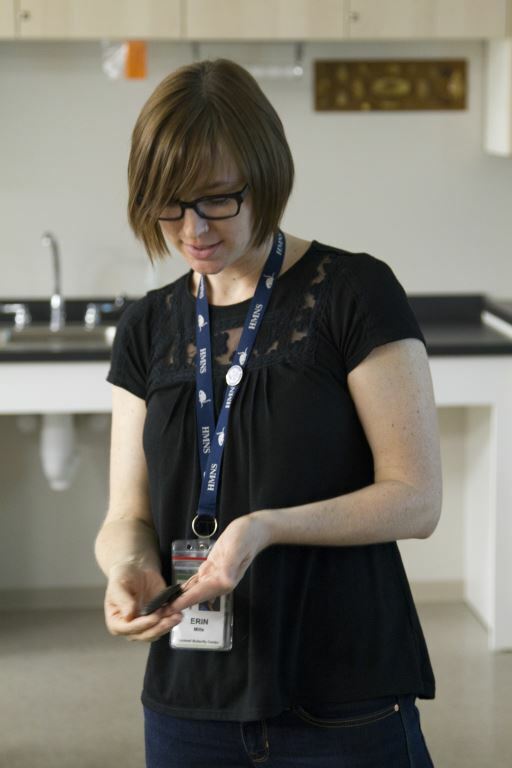 Anthropologists study the history of humanity, and Docents To Go programs such as Native Americans or Ancient Egypt provide students with an introduction to different communities and societies. 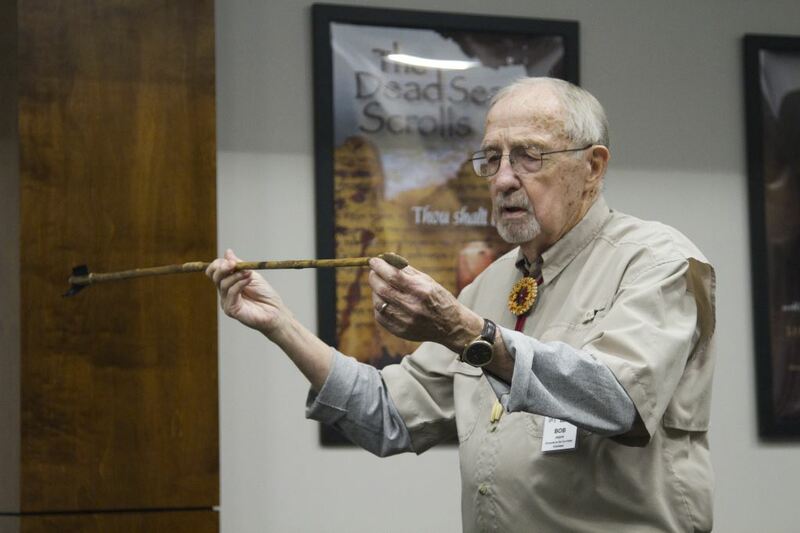 Volunteer Bob Joyce shows an arrowhead and arrow used for hunting by Native Americans. Try a ConocoPhillips Science On Stage program like Cool Chemistry, which discusses different chemical reactions as well as the properties of polymers and liquid nitrogen. It’s a great glimpse into what chemistry is all about! 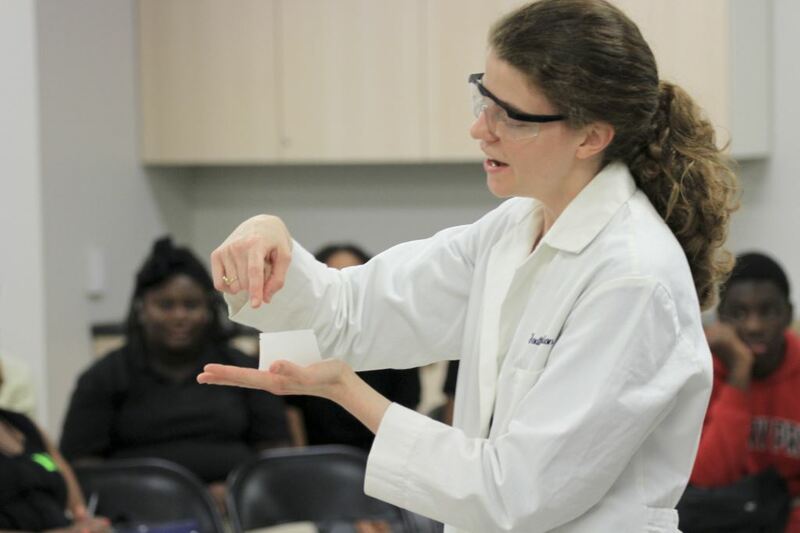 Educator Carolyn Leap discusses the properties of a polymer during a presentation of Cool Chemistry. 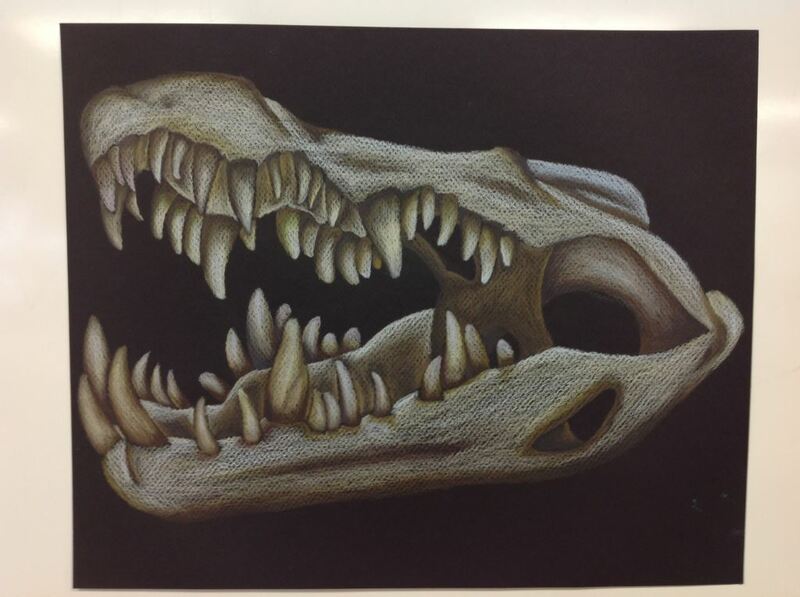 Students at Johnston Middle School have had the opportunity to sketch animals from the museum’s TOTAL Wildlife On Wheels and Bugs On Wheels programs over the years, and they’ve produced some spectacular pieces, like the crocodile skull below. These are just a few of the many STEAM careers that are natural extensions of the concepts discussed in HMNS Outreach. We are proud to play an important role in the lives of students all over the Houston area and beyond, and we are honored to have the opportunity to inspire the next generation. 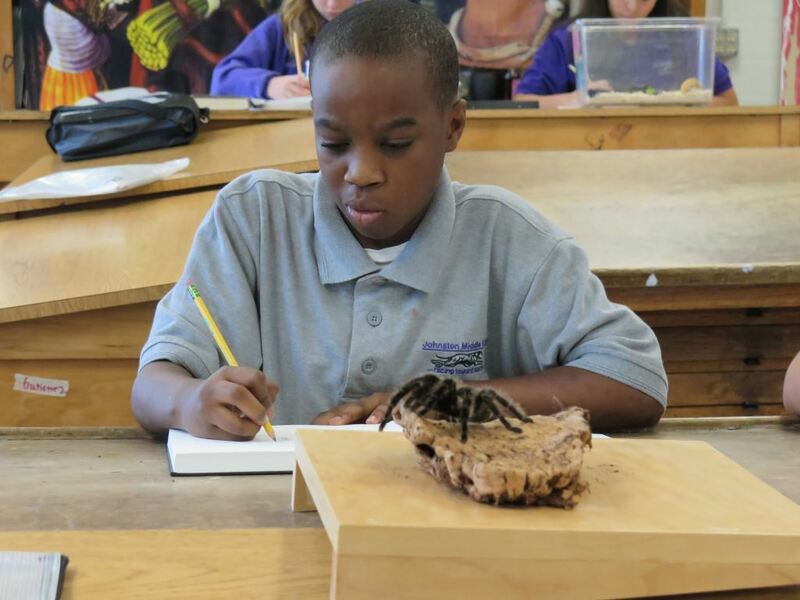 A student draws Peanut, a Costa Rican Curly Hair Tarantula, as Peanut cooperatively sits still. To book HMNS Outreach, email outreach@hmns.org, call us at the number listed on our site, or fill out this form online. We look forward to working with you! Sahil has worked for HMNS in some capacity each summer since 2007 with the Moran Ecoteen Program and Xplorations Summer Camps. He quite literally grew up at the Museum; Sahil and his mom made biweekly trips at lunchtime until he started school at age 5, and he was a regular camper in Xplorations from ages 6-13. In 2014, he was hired full-time as Outreach Presenter, a job where his friends think he spends all day playing with alligators, tarantulas, and dinosaur fossils. He doesn’t like to contradict them. Next Post "I Have a Question! Where do Your Bugs Come From?" 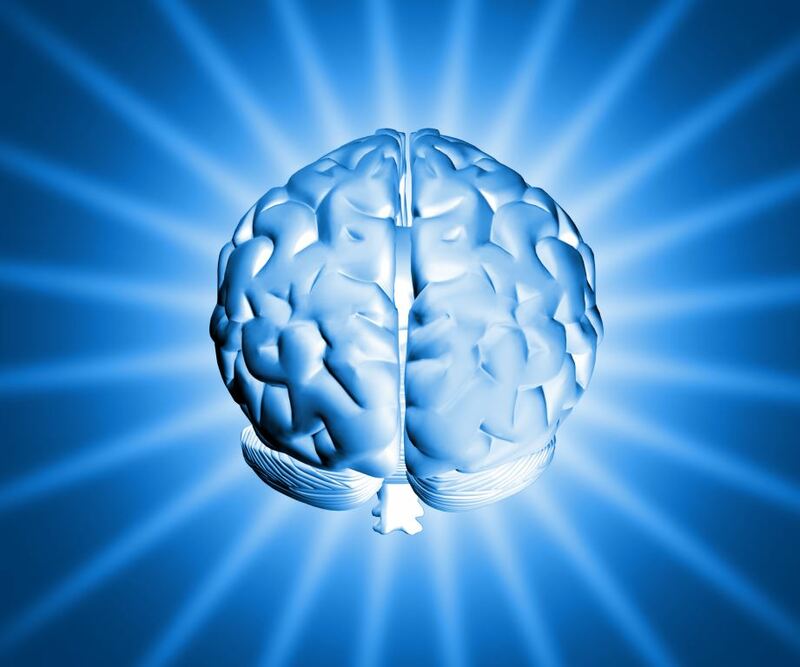 Out Of Left Field: Are You Really Right Handed?